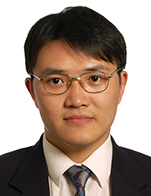 Mr. Shen ZHAO, head of the credit, risk and legal management of CSIC Leasing, the wholly-owned subsidiary of CSIC Group. Before joining in CSIC, Shen used to head the risk management department at CSSC Leasing, and directed the shipping finance and compliance at Bank of Communications. Shen has extensive knowledge and experience in the shipping finance, asset finance and compliance in financial institutions. In addition to the finance and business expertise, Shen holds legal degrees and is a qualified lawyer in China and New York State.